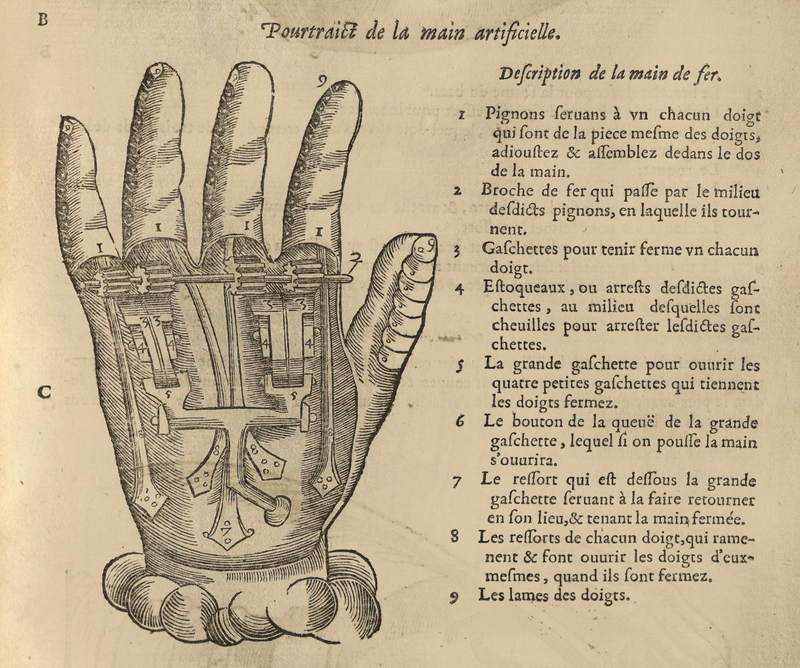 This entry was posted in Uncategorized and tagged 16th Century, Ambroise Paré, Books, Disability, France, Hands, Printmaking, War. Bookmark the permalink. I know. It’s a shame the actual hand hasn’t survived.